Earth Observation (EO) satellites currently account for just over a third of all the operational satellites orbiting the Earth. As we described two weeks ago, according to the Union of Concerned Scientists database there were 1 738 operational satellites at the end of August 2017, and 620 of these have a main purpose of either EO or Earth Science. This represents a massive 66% increase in the number of EO satellites from our 2016 update, and the percentage of overall active satellites is also up from one quarter. These figures demonstrate, once again, that EO is a growing industry. 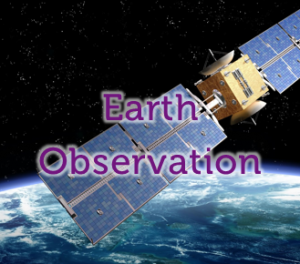 What do Earth observation satellites do? Who controls Earth observation satellites? Despite the huge increase in EO satellites, the number of countries who control them has not seen the same growth. This year there are 39 different countries listed with EO satellites, an increase of only 15% on last year. In addition, there are satellites run by multinational agencies such as the European Space Agency (ESA). The USA leads the way controlling over half the EO satellites, although this is largely due to Planet who account for 30% on their own! Following USA is China with 14.4%, and then come India, Japan and Russia who each have over 3%. The USA is followed by China with about 20%, and Japan and Russia come next with around 5% each. The UK is only listed as controller on 4 satellites all related to the DMC constellation, although we are also involved in the ESA satellites. Small satellites with a launch mass between 100 and 500 kg. Microsats with a launch mass between 10 and 100 kg. Nanosats/Cubesats with a launch mass below 10 kg. The remaining 45 satellites do not have a launch mass specified. Who uses the Earth observation satellites? It should be noted that some of these satellites have multiple users. In terms of altitude, unsurprisingly the vast majority, 92.25%, of EO satellites are in low earth orbits, 6.45% are in geostationary orbits and 1.3% are in an elliptical orbits. Oldest active EO satellite is the Brazilian SCD-1 Meteorology/Earth Science satellite. Valentine’s Day (14th February) 2017 saw Planet launch its Flock 3P meaning that 88 active EO satellites were launched on that day. Most popular launch site is Satish Dhawan Space Centre operated by Indian Space Research Organisation (ISRO) who have put 169 into space. ISRO’s Polar Satellite Launch Vehicle is also the most popular launch vehicle with 114 satellites. The EO satellite furthest away from the Earth is the USA’s Electronic Intelligence satellite Trumpet 3 which has an apogee of 38 740 km. It’s not clear whether the rapid growth in the number of EO satellites will continue into 2018. Planet, one of the key drivers, announced earlier this month that they had successfully completed their objective to image the globe’s entire landmass every day – which is a massive achievement! That’s not say that Planet won’t push on further with new ideas and technologies, and other companies may move into that space too. China launched a number of EO satellites last weekend and there are already a number of interesting satellites planned for launch between now and the middle of 2018 including, Cartosat-2ER, NovaSAR-S, GOES-S and Sentinel-3B to name a few. .
One thing is for certain, there is a lot collected EO data out there, and it is increasing by the day! This entry was posted in Data, Earth Observation, Education, Remote Sensing, Space Can Help, Space Industry, UK Space Industry, Understanding Space and tagged countries who have Earth observation satellites, countries who have EO satellites, Cubesats, Earth, Earth Observation, Earth observation satellite users, Earth observation satellite uses, Earth observation satellites orbiting the Earth in 2017, EO, EO satellite users, EO satellite uses, EO satellites orbiting the Earth in 2017, how many Earth observation satellites in space, how many Earth observation satellites orbiting the Earth, how many EO satellites in space, how many EO satellites orbiting the Earth, interesting facts about Earth observation satellites, interesting facts about EO satellites, microsats, nanosats, orbits of Earth observation satellites, orbits of EO satellites, purpose of Earth observation EO satellites, purpose of Earth observation satellites, Satellites, size of Earth observation satellites, size of EO satellites, Small satellites, Space, Union of Concerned Scientists by Andy. Bookmark the permalink. I appreciate Earth observation is a growing field, but your increase in numbers is astonishing. Are you quite sure about the stats? About 160 new optical satellites would be 1 launched every 2 days! Or are most of these nanosats chucked out from one launch? Please could you point me to a list of this year’s new EO satellites. The majority of the increase in active Earth observation satellites over the last year was down to nanosat constellations launched by Planet. For example, the Dove 3P Flock launched on the 14/02/17 accounts for 88 active satellites, whilst Dove 2K Flock launched on 14/07/17 accounts for another 53. There were other Planet launches at the end of 2016 and together with some larger EO satellites launches, deliver the increase described. Unfortunately, there isn’t a simple list of all the new EO satellites, all of this information comes from the Union of Concerned Scientists satellite database and the website of the United Nations Office for Outer Space Affairs. Thanks Andy, that clarifies everything. For future updates you could maybe consider treating flocks of nanosats as one, but I understand that may not be possible from the database.